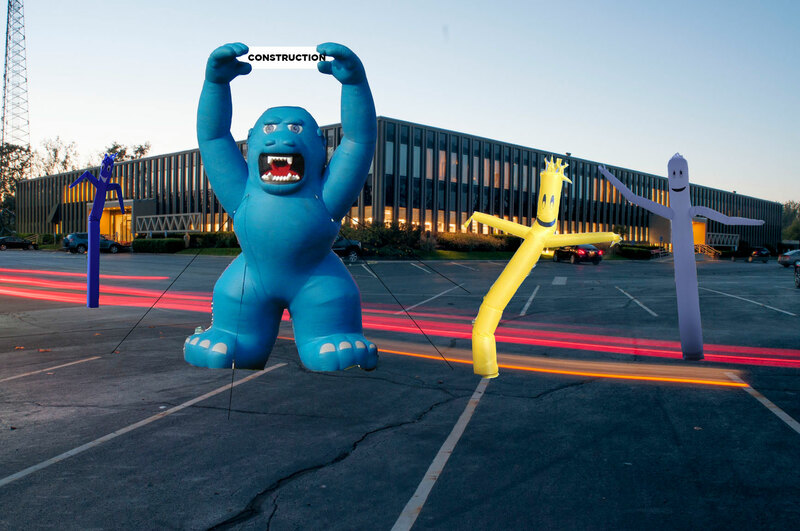 In the latest marketing schemes and ideas of Compton Construction’s CEO, Blake Compton, the company has purchased and released several inflatable objects to draw attention of passerby-ers. 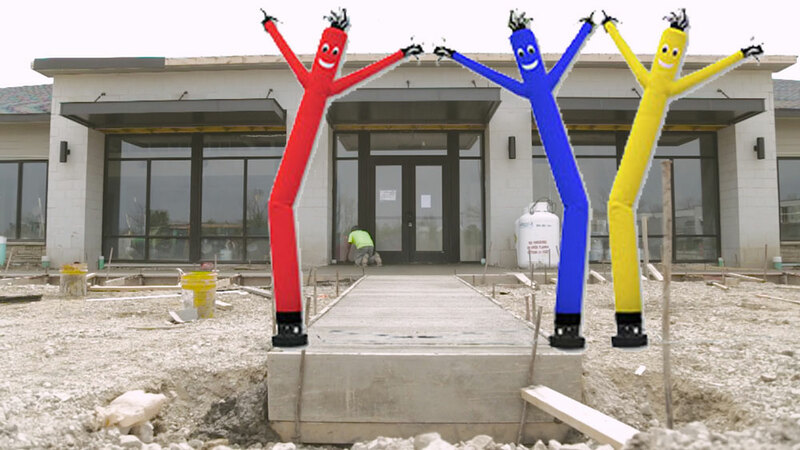 Keep an eye out for the “dancing balloon men individuals” and “inflatable spirit animals” on job sites and at the Compton Construction World Headquarters. The new marketing strategy is in effort to continue to innovate and attract new interest to the construction industry. As with most inflated marketing ploys, there is little to no branding, and no call to action on how to reach the advertising company. This strategy could be effective in a world of pushy sales, and hyper-targeted media advertising. Compton Construction is going the opposite way. “We feel that a massive gorilla, with an overly aggressive appearance, is the perfect image to represent the company. 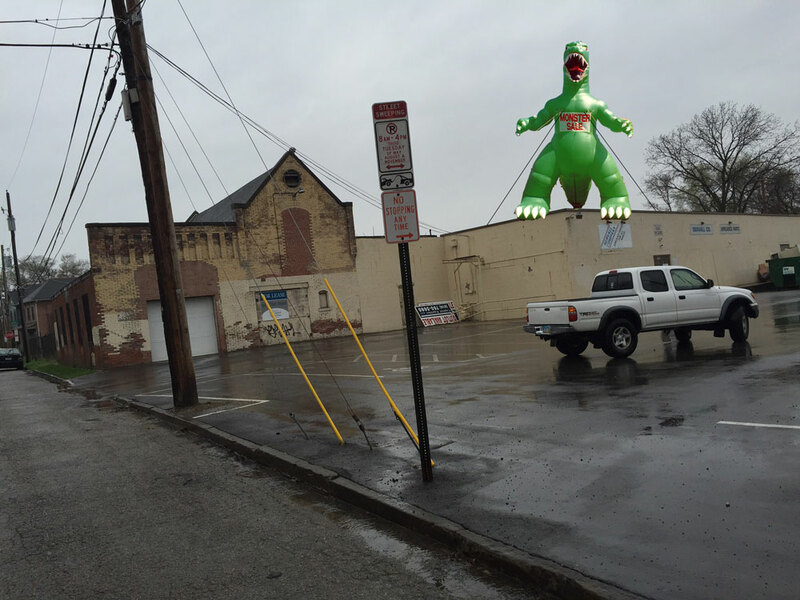 And city destroying Godzilla is the perfect character to be paired with it!” says CEO, Blake Compton. Compton Construction has not released there expected return on investment (Return on Inflatable, as they refer to it as) proforma for such a ground breaking idea. They say this summer will be the prime season for inflating their hot air ideas and hope others will support their efforts. “When it comes to incredible marketing ideas in the construction industry, Blake Compton is the best, and you can’t compete with him” stated Adam Koons, who was fired last year around this time from Compton Construction for posting bad April Fools articles. Only time will tell on how great this idea will be. In the mean time, enjoy watching the balloon characters dance while sitting at a red lights. Just don’t be the car that forgets to go when the light turns green.